Excellent Japan tour. Would recommend! Excellent Japan tour. 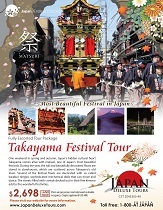 Thank you Japan Deluxe Tours for setting up such a great tour package. Would recommend!